School Travel Planning (STP) is a community-based approach that involves community stakeholders getting together to come up with solutions to make it easier and safer for students to walk or cycle to and from school. See Ontario Active School Travel website for a long list of resources. It is designed to recognize local ownership of Active School Travel by engaging stakeholders that include: school boards, parents, students, school staff, municipal transportation planners and engineers, public health and police. School Travel Planning undertakes research to assess the barriers to active school travel and uses this knowledge to develop and implement action plans. 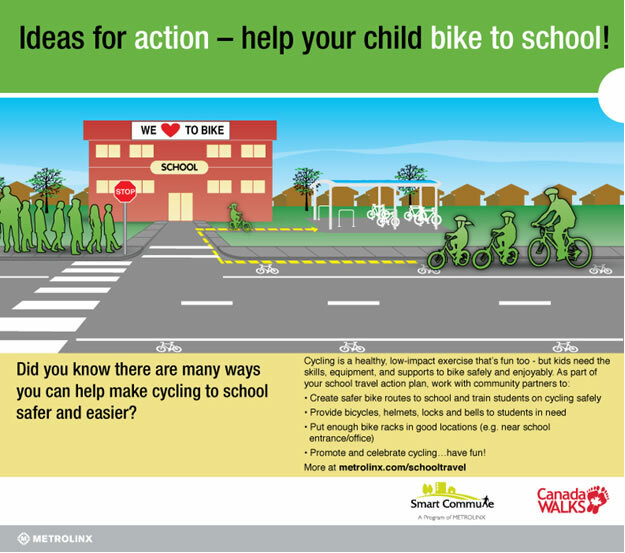 The involvement of local stakeholders is an important step to ensuring the sustainability of active school travel activities (Green Communities Canada, 2012). Learn from other experienced partners in Active School Travel in this “ School Active Transportation Survey: A perspective from champions”. In 2013 the Healthy Communities Partnership initiated a pilot where two schools in the Upper Canada District School Board (Westminster Public School in Brockville and Naismith Memorial in Almonte) were chosen to participate in school travel planning following the Green Communities Active and Safe Routes to School Model. Both have had a variety of successes and challenges that they have learned from in the process. Naismith STP expanded then to include R Tait McKenzie and Holy Name of Mary School in 2015. Recently the Ministry of Education has invested money to boost active school travel across the province. Green Communities Canada is managing these funds, and is offering communities across Ontario the opportunity to submit applications. The Health Unit succeeded in their funding application for a “Walking the Rural Way” project which will pilot “community tailored” Walking School Bus models using paid and volunteer supervisors to walk with elementary children, on established routes to and from school. The Project will begin with three communities; Almonte, Smiths Falls and Brockville. Surveys from parents (within the UCDSB in 2015) indicate the main reason they are not likely to let their children walk is due to fear of safety (stranger danger and traffic safety). Supervised walking would be an intervention to help alleviate these concerns. Ottawa has been using this strategy for years and they have a model that we could learn from. 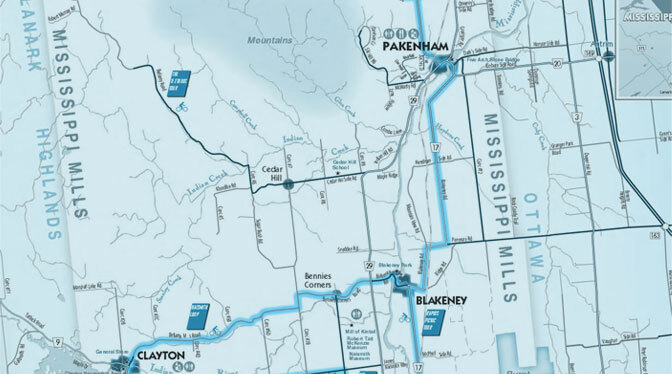 However, we feel we would need to tweak it to fit our rural context of LGL. Why Encourage Active School Travel? For more information see the “Making the Case” resource on the Active School Travel Website. While STP has not been tested extensively in rural areas in Canada, the Rural Safe Routes to School project in Northern Ireland involved 18 rural primary schools and resulted in a 15% decrease in children being driven to school, walking to school increased by 13%, and cycling to school increased by 2%. Rural schools have seen success across the United States as well, including Red Pine Elementary School, which through their Safe Routes to School program reduced cars dropping children off at the school from 100 to 40, and increased the number of children walking from 75 to 200.